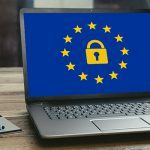 An Asset or a Risk for GDPR Compliance? backup2cloud delivers comprehensive backup protection for small business through to large enterprises. The fully automated, feature-rich platforms are powered by award winning Asigra & Infrascale software, delivering end-to-end data protection. backup2cloud gives businesses of all sizes confidence in the security, efficiency and integrity of their data backups. dr2cloud, powered by Zerto & Infrascale, delivers cloud-based business continuity and disaster recovery services that enable all businesses to protect production applications. With support for both physical and virtual replication, as well as continuous data protection, the dr2cloud platform minimises risk and downtime within your organisation. AssureStor delivers extreme data protection, offering cloud, hybrid and on-premise Backup as a Service (BaaS) and Disaster Recovery as a Service (DRaaS) solutions for end-to-end protection of the IT environment. As dependence on IT systems increases, and data continues to grow exponentially, many organisations need a new way to protect their environments. 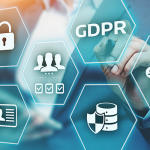 AssureStor delivers extreme data protection through a comprehensive suite of Backup as a Service (BaaS) and Disaster Recovery as a Service (DRaaS) solutions designed to improve recovery times, reduce the backup window, and eliminate the risk of data loss. If you are trusting us to protect your critical assets, you need to know that we have robust business continuity in place. AssureStor is fully ISO certified for 9001, 22301 and 27001, and we follow international best practices for quality management, business continuity and information technology security. 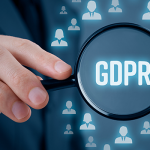 AssureStor is also registered and follows all ICO guidelines for the Data Protection Act 1998, including our guarantee to store all data in UK mainland data centres for compliance and legal protection.